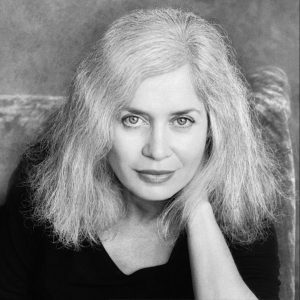 New York, N.Y. – The annual $30,000 Rea Award for the Short Story is awarded to AMY HEMPEL. Michael M.Rea, a passionate reader and collector of short stories, founded The Rea Award for the Short Story in 1986 to be given annually to a living United States or Canadian writer whose work has made a “significant contribution to the discipline of the short story form”. The Rea Award is unique in that it is notgiven for lifetime achievement,a collection of stories or for a writer’s body of work but rather for originality and influence on the genre. Cynthia Ozick,the first winner of The Rea Award, said, “By now the Rea Award is an indispensable American institution and a coveted American prize. It is our little Nobel – little only in the sense that it addresses the short form.”Michael M.Rea died in the summer of 1996. Sponsored by the Dungannon Foundation, named after Rea’s Irish ancestors, The Rea Award continues under the direction of his widow, Elizabeth Richebourg Rea. Amy Hempel is one of our masters of the dire emotional state rendered with an off-handedness that, combined with tenderness,results in fiction that’s at once dispassionate and compassionate.She has been called many things:our Chekhov,our Kleist,but surely,she is above all her own creation,a courageous writer whose wit and concentrated sentences capture our contemporary vulnerability,the fleeting moments of our joy and sorrow,our attempts to find reasons to live. Amy Hempel established her reputation in the vanguard of American short story writers with the publication of her first book of short stories, Reasons to Live (Knopf, 1985).This book, along with her three succeeding collections, At The Gates of The Animal Kingdom (Knopf ,1990), Tumble Home (Scribner, 1997) and The Dog of the Marriage (Scribner, 2005) were gathered in a single volume, The Collected Stories of Amy Hempel (Scribner, 2006). It was named one of the Ten Best Books of the Year by The New York Times, was a finalist for the PEN/Faulkner Award, won an award from The American Academy of Arts and Letters, and in addition was singled out by Newsweek, The Boston Globe, The San Francisco Chronicle and Time Out New York. Amy Hempel has received a Guggenheim Fellowship and an inaugural fellowship from The United States Artists Foundation as well as the Mary Frances Hobson Medal and a Silver Medal from the Commonwealth Club of California. Her stories have been anthologized in The Best American Short Stories and The Pushcart Prize, among others. She is currently Director of the Graduate Writing Program at Brooklyn College. In addition to the Rea Award for the Short Story, the Dungannon Foundation also sponsors the Rea Visiting Writers and Rea Visiting Lecturers programs at the University of Virginia and Selected Shorts: A Celebration of the Short Story at Symphony Space in New York City.